For someone who identifies Facebook only with social media, it would be unique for him to notice that Facebook is gradually offering more retail services. However, the biggest social-networking giant still relies on advertising for the bulk of its revenue. Last year, Facebook had launched a feature that allowed users to send retail goods, such as sunglasses and pastries, to their friends on the social network. Facebook has been an important part of life today as it helps you to connect and stay in touch with your friends. However, apart from chatting with friends and sending voice messages, another thing that every person enjoys is sending and receiving gifts. 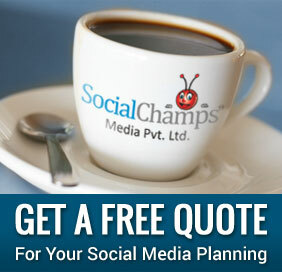 Are you planning to give some gift to your Facebook friends? Here is good news for you. Now the joy of gifting and using Facebook is set to double as both of these things are in one package. Now you can buy gift cards for your friends to use at Jamba Juice, Olive Garden, Sephora and Target. These are the first four partners that signed up for the Facebook Card service. Once a gift card gets purchased, the recipient will be notified immediately. Then he/she will receive the gift card in mail shortly after. The card can be used at any store location. The gift cards have been made reusable by Facebook. If you give some gift to your friend by using this service, the moment it arrives, your friend can use the card at the retailer that you have chosen for the amount you have gifted. However, according to Nissa Anklesaria, a Facebook public relations spokesperson, these gift cards cannot be used for online purchases. Users will also be able to view their gift balances in their account settings on Facebook from their mobile device or desktop. This feature will be introduced to Facebook users in USA first. Nobody knows when it would be released to the rest of the world. Facebook Finance Chief David Ebersman also talked about Facebook‘s new business of sending gifts. He said:While Facebook thinks online commerce has “long-term potential,” the current revenue from such efforts is very small and will remain so throughout the year. The new service of Sending Gift Cards from Facebook is going to be very helpful to Facebook users as now they do not need to visit a retail store every time they want to buy something with the purpose of gifting it. 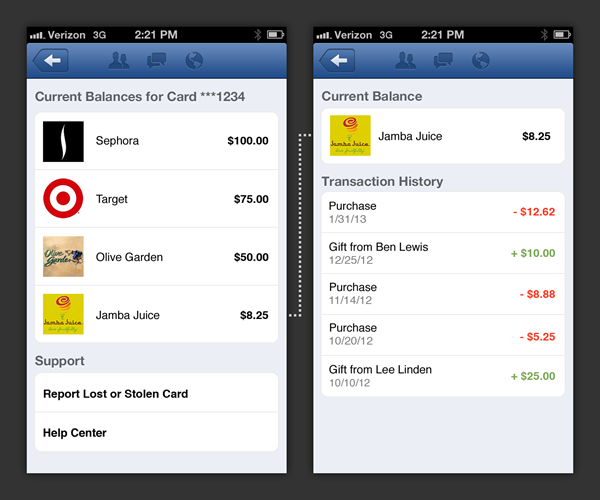 What is your opinion about Facebook’s Gift Card system? Do you think they will benefit business Pages by helping them to sell gift cards for their business? Do you find it an easy way to send gifts? Post your comments below.